A sore throat is not at all a welcome health condition to anyone. Speaking becomes a rigorous task. The condition of a sore throat is also known as pharyngitis. When the mucus membrane, those lines along the pharynx, gets inflamed it causes a sore throat. 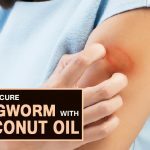 The inflammation can be a result of viral or bacterial infection. Having a sore throat is not the end of the world. It is quite a common issue that is suffered by the major part of the population at some point of time. You do not always have to turn to heavy antibiotics to get rid of a sore throat. You can try natural remedies like using honey to overcome this problem. 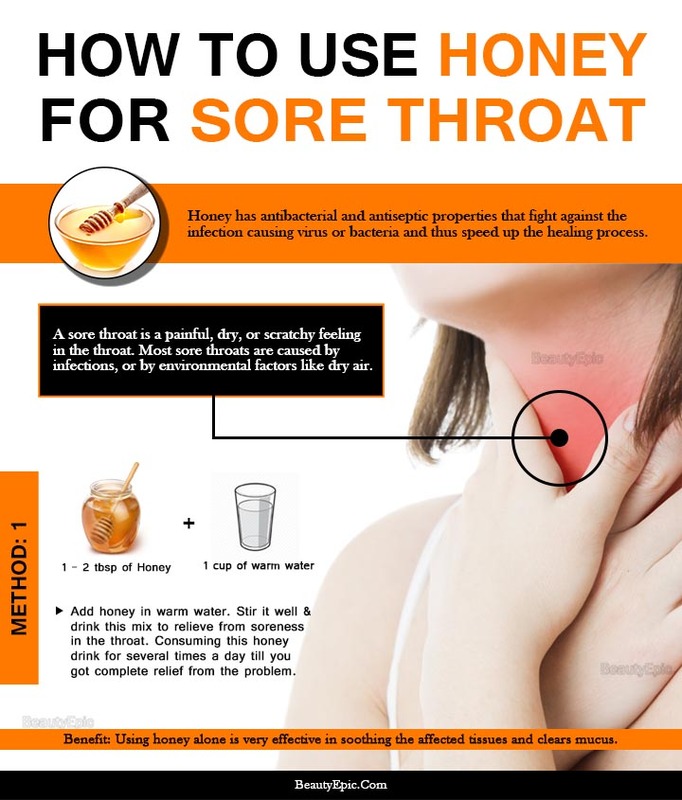 Some methods of using honey for sore throat have been mentioned below. What is the Best Honey for Sore Throat? If you have any doubt regarding the ability of honey in curing sore throats then you can go through the benefits of using honey given below. It will assure you that honey is a very good remedy for any sore throat. Honey is antibacterial in nature it fights the infection-causing bacteria. It contains an enzyme called glucose oxidase that effectively eradicates the infection. It is also antiseptic and speeds up the healing process. Being hypertonic osmotic honey helps to reduce the inflammation by drawing out the excess water or fluid from the inflamed tissue. This reduces pain as well. Honey is able to soothe the irritation caused within the internal glands and the mucus membranes. Its anti-inflammatory properties reduce swelling and inflammation. In a saucepan boil the water and drop the two halves of the lemon. Let it boil for three to 4 minutes so that the water reduces. Squeeze it out to extract the juice in a glass container. Consume 2 tablespoon of this mixture every 3 hours. Benefit: Citric acid in lemon breaks the mucus and makes healing faster. Benefit: Apple Cider Vinegar contains expectorant properties that loosens the mucus and brings quick relief. Consume this mixture at once. Repeat this method 4 times daily. Repeat this method 4 times daily for best results. Benefit: Cinnamon has anti-fungal, anti-bacterial, anti-fungal,, anti-inflammatory properties that heals sore throat. Buckwheat honey is mostly recommended while making a cure for a sore throat. If it is not available you can always opt for the organic or raw honey. Organic honey and raw honey are also quite good options when you are looking for the best type of honey to get rid of your sore throat. They are equally useful and effective. 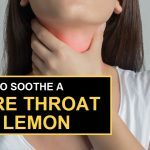 These are some of the methods of using honey to prepare home remedies to cure a sore throat at home. If the problem is not healed then consult a doctor at once. If you are suffering from diabetes then consult your doctor before opting for these remedies. Your health could be adversely affected. You can try natural remedies like using honey to cure sore throat. Some methods of using honey for sore throat have been mentioned here. The Buccaneers announced Demar Dotson injured his left knee. Smith said he’ll be evaluated further but provided no specifics. “It’s something that’s been voiced by several guys, but again, I understand the situation that the league’s in and I understand why it’s good for our league [url=http://www.wholesalejerseysforchina.us.com/]Wholesale Jerseys China[/url] to play these Thursday night games,” Slater said. “But I also understand there are two sides to it and there are some disadvantages to the quick turnaround. Quarterback Philip Rivers has had plenty of other targets to throw to during Gates’ absence, including tight ends Ladarius Green and Philips, but few are better inside the 20-yard line than Gates. Rivers has thrown [url=http://www.wholesalecollegejerseys.us.com/]Clearance NCAA Jerseys[/url] 72 touchdown passes to him, the most from a quarterback to a tight end in NFL history. Pagano was an assistant coach with the Ravens before getting the [url=http://www.wholesalecollegejerseys.us.com/]China College Jerseys[/url] top job in Indianapolis in 2012. The team is bringing in outside linebacker Jo-Lonn Dunbar, among the final cuts before the opener, for a physical. He was a starter for three [url=http://www.wholesalenfljerseysshop.us.com/]Cheap NFL Jerseys[/url] years from 2012-14.